BeerTourism.com Co-Founder and Editor-in-chief Erik Verdonck had a clear mission. The heavy burden of gathering a worthy team of Belgian beer, food and tourism professionals. We Belgians are so used to our beer that sometimes we need visitors from abroad to show us how unique it really is. 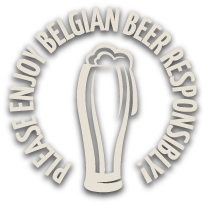 At BeerTourism.com we have definitely got the message and we’re here to give Belgian beer the honours it deserves – Schol! A friend recently called me a ‘Beer Adventurer’ and that just about sums it up. I have worked as a freelance editor and author for many years, writing about tourism and gastronomy. My tourist guide to breweries, 'Bij de Brouwer' (At the Brewer’s) was published in April 2013. It contains a rich variety of stories about brewers and their beers, practical visitor information, useful links and atmospheric photographs. In 2010 I published, 'Sip, Share and Savour', a book written as a result of my visit to the Shanghai World Exhibition. In 2008 I was commissioned by the De Koninck brewery in Antwerp to write, 'De Koninck Gusto', a book on the gastronomy of their beers. I am also a regular contributor to Belgian beer magazine, 'Hopper', and food periodical, 'Culinaire Ambiance'. Away from the world of beer, I regularly publish books on gastronomy (Puur Bru, featuring chef Wout Bru), Sicilian cuisine (La Botte), baking (Just Baking), slow travel (Dwalen door Wales - Wandering through Wales; Dwalen door het Zwarte Woud – Travels through the Black Forest;, Tijd voor Tongeren – Time for Tongeren) and ecology ('Wild Europe'in collaboration with nature photographer Eric Brasseur). Walter certainly earned his spurs at the brewing giant, who count Stella Artois among their many brands. He worked as an accountant, spent time in commercial services, internal communications and production planning for Beck's in Bremen, seeing every part of the world-famous brewery. He wrote newsletters, staff magazines and for the company’s intranet. Now Walter writes all the beer-related articles in Belgium’s Horeca Magazine. He’s also an experienced food writer with Cook Magazine. Cooking with beer, food pairing... he knows what he’s talking about. However, above all else, Walter is a beer lover. “I don’t like it too sweet”, he says. “I prefer well-hopped beers with a pleasantly bitter taste and a beautiful aroma à la Westmalle Tripel. construction business, I decided to return to my first love: the hotel, restaurant and café trade. That beer would be a major influence in my new life was evident from day one. That within a short time this influence would evolve into the restaurant that I now manage was just a dream back then. Three years ago my wife and I purchased a dilapidated old coffee house, restored it and turned it into a restaurant full of ambiance and with Belgian beers playing a starring role. We named our restaurant BitterZoet. Our mission is not to add beer to each dish on our menu, but rather to serve the perfect complementary beer with each dish to complete the dining experience. It’s easier said than done, but it’s a missionary job we are happy to take on. But the hardest thing remains fighting the image of beer that many people still have. “Beer in a restaurant? That must mean you are dishing up stews and rabbit with a kriek beer!”. Not all all! This is just the image that we hope to reverse. In a short space of time - the restaurant has been open for one-and-a-half years - we have found our place in the Belgian beer landscape. We get feedback and enquiries from many a brewer and beer lover. They are especially interested in getting our views on their beers the best foods with which to serve them. this loveable man is always whizzing around. He’s an assistant architect and shares his passion for beer with his partner Lieve, with whom he has three children, Angie, Nena and Chrissy. Johan sits on many important beer juries and is the joint founder and president of De Lambiekstoempers vzw, an association of beer tasters based in Pajottenland and the Zennevallei – the Zenne Valley, near Brussels. He is a member of Belgian beer lovers’ association Zythos vzw and writes for their magazine: De Zytholoog. He’s a board member of HORAL (Hoge Raad voor Ambachtelijke Lambiekbieren), the High Council for Artisanal Lambiek Beers. He also brews his own beer, and is an Honorary Member of De Geuzen van Oud Beersel and the Beggars of Oud Beersel. One of his feats, some years ago, was to challenge brewers Duvel-Moortgat for a bet to put Duvel Tripel Hop, then a one-off special edition beer, into regular production. The rules drawn up on a beermat and Duvel Tripel Hop now forms part of the standard brewery range. of beer lovers’ association, Zythos), Hopper Magazine and Reisreporter, among many other publications. She regularly joins beer juries and organises tastings, brewery days and brews her own beer EVA. In the sensory world of Sofie Vanrafelghem we go on a journey through tastes, smells and aromas. With a passion for gastronomy and culture she invites you to share and enjoy her remarkable discoveries. Sofie is particularly fascinated by place of women in the beer world. She says: “Beer remains a male drink and that macho image can hold women back". This doesn’t mean that women don’t like beer. Try it out for yourself - present a good beer in a wine glass and the experience is very different. But the beer world can lack elegance and, to many women, it remains unknown territory. Sofie plans to break down those barriers and to bring women and beer ever closer together. “The experience of beer, its taste, smells and aromas, all that is very feminine,” she says. You can find out more about her work at www.vrouwenenbier.be. Later he studied agricultural and biological technologies, specialising in food technology and served his apprenticeship at Brouwerij Haacht. “I wanted to find out more about the biochemical aspect of brewing and got the brewing technology bug,” he says. So he joined the brewing technology course at Ghent University, gaining considerable experience at the world-famous Lochristi Proefbrouwerij, trial brewery. Later, he was responsible for the relaunch of the Ter Dolen brewery. For two years was brew master for Alken-Maes, where the new Maes Pils was developed and Cristal pils and Grimbergen brewed. The dream finally came true in 2011 when Brouwerij Anders was born. Production started in 2012 with 500,000 litres of beer and 2013 will see 1,000,000 litres brewed for third party customers. Brouwerij Anders. builds on the country’s small brewery tradition and wants Belgium to receive full honours as a beer country. Anders can brew beers to an individual’s requirements. Brewing differently means thinking differently. isn’t fazed by any of them – she believes that there is a beer for everyone. Anneke’s main business is organising tastings. Her experience is that people often underestimate the strength of wine. It’s easy to share a bottle of wine over lunch. A bottle of beer might have half the alcoholic strength but twice the quality. Nevertheless, If your friends order a glass of bubbly or wine, and you ask for a pint, they don’t get it. Anneke is not entirely convinced of the benefits of using beer in cooking. “Too often, we find beer on the plate instead of next to it” she says. How does she choose her beer? “Go for a beer style that suits you and then pick a brew to your taste,” she advises. You can follow Anneke on www.bierambassadrice.be or connect with her via Facebook. Our Belgian team of are supported by additional translators and ‘final editors’ in the United Kingdom. We also cooperate with experienced freelancers whose skills are used to complement those of the Belgian production team. I'm not a brewer, sommelier or zythologist by trade. Instead I like to think of myself as a geologist by interest, a 'greenie' by passion, a writer by accident - and a beer-drinker by profession. Having been reared on the Ales of the Angles, I'd always believed the best head is no head, and a haze in the glass a sign to move on. But a chance encounter with the misty delights of Weißbier, in the darkest depths of Hesse (not Bavaria, sadly) forced me to pick apart my prejudices - and grow a beard. Now I'm on mission to tipple, sample and dabble my 'tache into the furthest reaches of the beer universe - and Belgium is top of the list. Away from the Hop'n'Malt, I've packed under my belt the experiences of rock-basher, smallholder, software developer, winemaker, business analyst, and wild food dabbler. Did I mention I like drinking beer? He qualified as a librarian and worked in the dusty store rooms of Westminster City Archives before an accidental career change put him on the news desk of his home-town local paper. He now writes and edits freelance and has been published nationally and internationally on a variety of subjects from music to ecology. He’s the features editor for a series of South Wales lifestyle and listing magazines and writes commercial copy of every variety. Colin now lives in Cardiff, a fine gastronomic city with a multitude of multinational cuisines on offer and a particularly strong Middle Eastern restaurant scene. The legendary Brain’s SA – Skull Attack as locals call it – in the famous Royal Oak boxing pub is one of the city’s great pleasures. His view of Belgium was primarily formed by Herge’s Adventures of Tintin and the surrealist visions of Rene Magritte, but he’s looking forward to finding out much more. He's been a regular traveller to France since childhood and loves discovering Britain's food secrets. With a small tent and a Primas stove, he and his brother cycled across the country from Flanders to Liège, via Brussels and up into Holland as far as Amsterdam, then south to Ostend for the ferry back to Dover. In those days beer mats were not very common in the UK and after they returned home Michael’s brother was able to decorate his bedroom with a collection of about 60 that they had gathered from different bars where they stopped. Michael has returned to Belgium many times and even took parties of primary school children on week-long expeditions. After retiring from the teaching profession Michael turned to writing. He has managed to travel to most European countries and in addition to travel topics, he has written numerous articles for educational publications. His books have covered areas such as Safety on School Trips; Citizenship; Maths for struggling 12-year-olds and a History of RAF Duxford. Three further books are due for publication later this year. They include a book about Douglas Bader, another on International Commemorative Days and a third telling how Michael and his wife, after taking early retirement, established their own school that they ran for 13 years before selling it and retiring for a second time. Add to that a stint in Brussels in the early 80s, where she acquired her translation skills, and a love of other types of beer was born. “Unfortunately, as a student, I did not have the budget to sample as many different brews as I would have liked! However, I have been back to revisit my student days a number of times and have also spent enjoyable times in Antwerp, Ostend and Bruges”. Based in the UK since the late 80s, Cora has held a variety of jobs in publishing, travel and telecommunications, where her multilingual skills were always in great demand. She is responsible for translating many of the blog entries and travel reports on BeerTourism.com. Editors are assigned to every piece of submitted content prior to publication, whether blog articles or informational text. Our editors include experts from the brewing, food and tourism industries. Our editors ensure the quality of writing is up to a high standard and that any facts and sources cited are accurate. The content review process involves communication and dialogue between the editor-in-chief, the editor assigned to a particular blog article or other content, the author and our topic specific experts. Comments are manually screened and moderated to avoid the publication of abusive, derogatory or discriminatory material. Where hyperlinks to external sites (third-party sites) are embedded within content published on BeerTourism.com, the editorial team takes all reasonable care to ensure these links are not to offensive, inaccurate or improper material. Any links provided in this way should not imply an endorsement or approval of the website, company, product or service. Furthermore, BeerTourism.com cannot guarantee or warrant the material contained on any third-party site. We set ourselves high standards for accuracy at BeerTourism.com; it is therefore our policy to ensure errors, once reported and accepted as warranted, are corrected promptly. In this situation BeerTourism.com will update the existing content or delete it and issue a new and rectified version. Notifications of errors and/or omissions should be made to the editor-in-chief directly using the page title as the subject line. Please include a clear explanation of the errors and requested changes, along with supporting evidence and your own contact details. If you have any other queries or questions you would like addressing, please contact Erik Verdonck, our editor-in-chief.